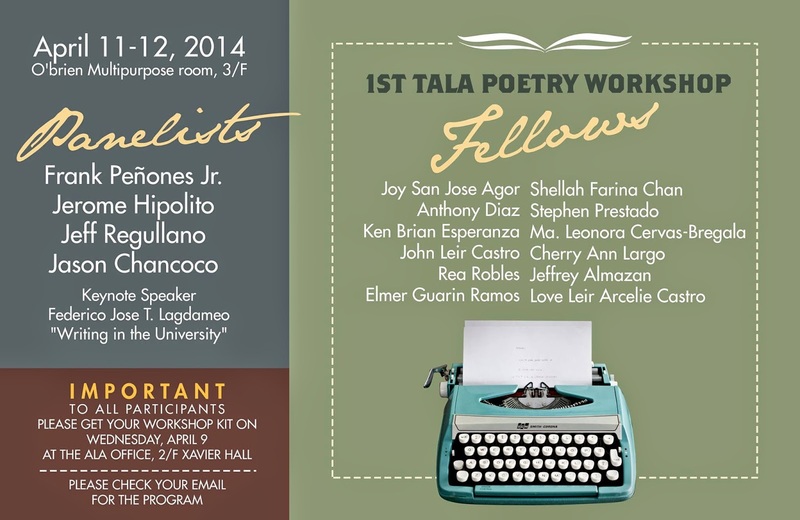 NAGA CITY—This month of April, where the summer heat is just as fiery as the creative writing workshop season, budding and seasoned writers gather for the love of words in the first TALA Poetry Workshop in this city. The event takes place today until tomorrow at the third floor of the Fr. O’Brien Library (Multipurpose Room) at Ateneo de Naga University. Using the so-called “writeshop” or “praxis” method, several panelists give lectures on poetic theories and elements such as form, voice, tone, and metaphor. Later, they require the participants or writing fellows to compose works of their own, using what they learned during the lectures. The output will later be critiqued by the panellists and fellows in the third part of the workshop.